to receive funding for a two-year partnership to sponsor Open Captioned performances of its Broadway presentations during the 2017-18 and 2018-19 seasons. Open captioning is a service that displays the text of a show simultaneously with the performance on a screen located near the edge of the stage, and doesn’t require the use of any special equipment by the patron. The Open Caption performances are being offered during select matinees of all five of the Webster Broadway Series, including THE PHANTOM OF THE OPERA. The Palace is proud to offer this service for the first time, to enhance these magical performances for audience members who enjoy the use of closed captioning features at home or who simply don't want to miss a word of the production. Contact the Palace Box Office if you are interested in purchasing tickets and being seated to take advantage of this new service by phone at 203-346-2000 or in person at the Box Office, 100 East Main St.
Tickets can also be purchased online at www.palacetheaterct.org. Annenberg Center for the Performing Arts, Beverly Hills, CA. affordable prices and have returned over $2.8 billion to thousands of productions. experience of theatre available to everyone, including students and people with disabilities. learn more about TDF, go to: www.tdf.org. 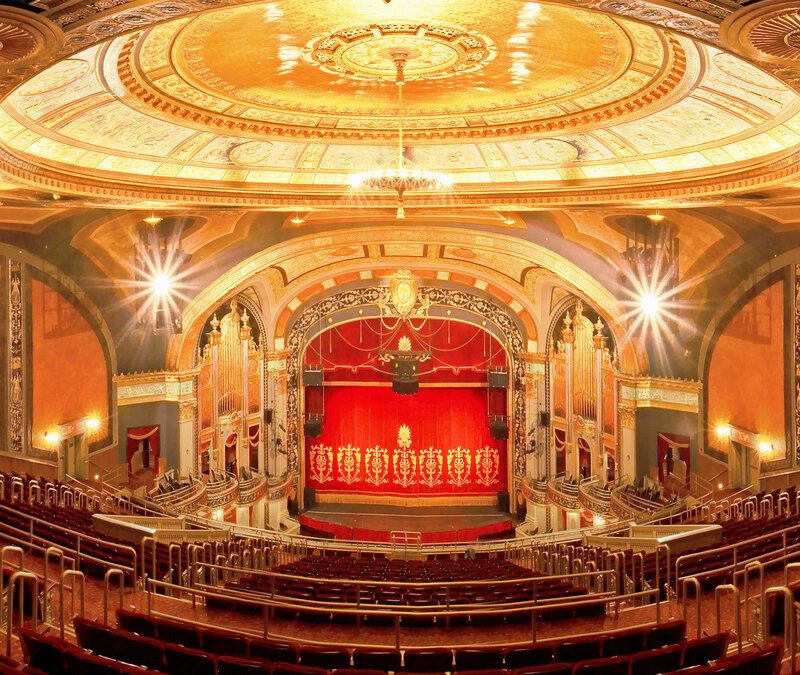 The Palace's primary purpose is to revitalize the Greater Waterbury community through the presentation of the performing arts and educational initiatives in collaboration with area cultural and educational institutions. Its mission is to To preserve and operate the historic Palace Theater as a performing arts center and community gathering place that provides a focal point of cultural activity and educational outreach for diverse audiences. The Palace Theater gratefully acknowledges support by Comcast, Crystal Rock, Webster Bank, Bank of America, City of Waterbury, CT DECD Office of Tourism, ION Bank, Republican-American, and WATR Radio.